Just today, I was sitting on a bench in front of my university and I was just looking at people and there was this guy. And he was beautiful. And I really just wanted to stare at him, but I felt so weird about it. You don’t just stare at random people you see, at least not if you don’t want to be creepy or flirty (or both). But I just want to stare at things I that are aesthetically pleasing, okay?! This post is inspired by Swetlana, who generously shared her post ideas with me so I could write a post today! Thank you! I cannot not mention these amazing covers of This Savage Song and Our Dark Duet by Victoria Schwab. I just adore the coloring and the calligraphy! It looks even better up close and I am so glad to own both of them in these gorgeous editions. I would frame them if I could. Starfish by Akemi Dawn Bowman is obviously on this list, I adore all things space and I also adore the illustrations on it! When I first saw the cover, I thought it would be sci-fi but it’s completely not! A Million Junes by Emily Henry has one of my favourite color combinations: blue and yellow. I love how the background is a bit vague, like, you don’t really see immediately what it is and it just looks really cool! The cover of We Are The Ants by Shaun David Hutchinson is so simple but so pretty. Again, that color combination, but also the sunset vibe, the lines. I just love it! I also love the star-tracing or whatever it’s called when you take a long exposure picture of the night sky. Kingdom of Ash and Briars by Hannah West has been on my TBR for so long and just because it’s so pretty! I adore the illustration and the shadow thing is just gorgeous. I wish I had this on my shelves or on my walls. I’d frame it. Spellslinger and Shadowblack I only discovered recently but I’ve fallen head over heels for these covers. I adore the concept and the two people on the Spellslinger cover kind of remind me of a slightly younger version of Kell and Lila from the Shades of Magic series? I just want these on my shelves, please. Which of these is your favourite? And which covers would you like to frame and put on your walls? Do you have a cover you’re so in love with you’d buy the book for no other reason than to have it on your shelf to stare at? We all have that one spot where we love to read, or at least I do. I recently came across Arhaus and I wanted to discuss what makes a spot the perfect reading spot, list my favourite spots and design my own perfect spot! They have a variety of living room furniture that help could help inspire any of these ideas. A comfortable seat, something you can snuggle in, but not too comfy, because then there’s the “falling asleep” problem! For a comfortable seat you need pillows! Lots of them! And you need a backrest because I don’t know about you but when I read, I don’t want to sit up straight all the time! Lighting! Especially natural lighting, but that is a problem if you like reading at night, so good lamps are essential! Silence, because I cannot read if people are talking! People disturbing me while reading by talking is so annoying, I can’t possibly focus! I do read with music though, so that’s not an issue, but it needs to be away from people! When I read, which I do a lot, I read mostly on my bed. My bed is just really comfy, but the lighting is really bad. So I have a couple of other spots I love to sit and read! At home, I mainly read in my bed, even during the day, but when I don’t read there, I sit in my beanbag couch. I don’t use it often, but it has cushions on it and it’s right next to my bookshelf so it’s perfect for reading! It’s also right below my roof window, so the light is perfect! When I’m not at home, I read whenever I can. I don’t have my driver’s licence yet (hopefully by the time this post goes up I do), so my parents always drive. Which means that I can sit in the back seat of the car and read! Luckily I never get sick in the car anymore so I can read all I want! Another favourite spot of mine is on the train. For my study, I have to travel by train a lot so on weekdays I travel about 2 hours each day. Doing homework on the train is quite hard so usually I read a lot! For listening to audiobooks, my favourite place to do that is while cycling (which is not a place but you got the gist). Cycling is an activity I do a lot anyway (to university/to the train station/back home/etc) so it’s perfect to get some reading done! 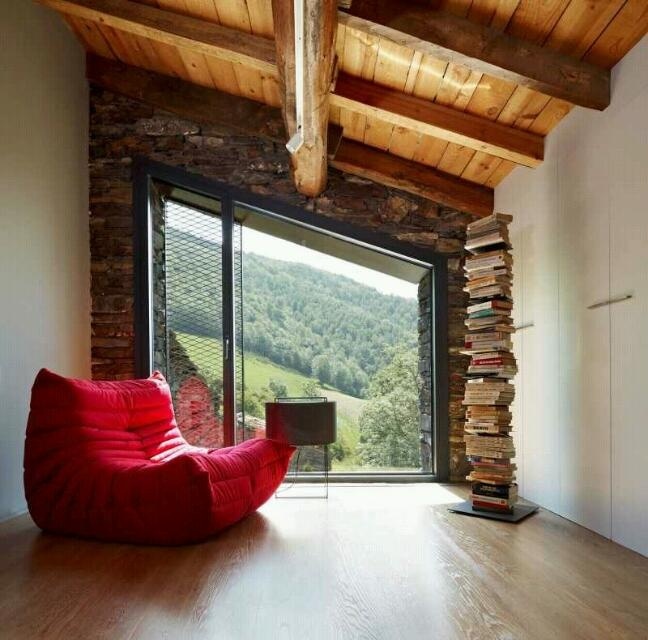 For me, my dream reading spot would be a window seat (I think many of you can agree). It needs to be big and spacious, like: the size of a bed but with a rounded side. There needs to be cushions around the entire back of the seat and a lot of pillows! It needs to be soft and comfy, but of course I need some space for drinks (I wouldn’t want to spill on my books!). Beside the seat there needs to be bookshelves! And a lot of them because I always run out of shelf space. Seriously, I just got a new bookshelf and it’s already full! So plenty of bookshelves it is! Where do you always read? What’s your favourite reading spot and what would your dream reading spot look like? I love book covers and I love judging book covers (and nobody dare shame me for it). Sometimes I buy books based on their covers (or at least check them out), sometimes I don’t read a book because I hate the cover. I have books on my shelves I haven’t read yet because the cover really turns me off (*caughs* Graceling *caughs*). Today I wanted to do a little fun post in which I compare some of the UK/US covers to the Dutch editions, because sometimes I really don’t understand why they made the changes they did. And sometimes I love the Dutch cover more! If you didn’t know it yet, I am Dutch, so I come across Dutch translations quite often. But first, I wanted to talk a little about cover judging and cover changes! So far I have attempted to write a contemporary novel and I am currently working on a fantasy novel. It is very different from my contemporary story and so far I am loving it. For this discussion, I wanted to discuss some of the differences and pros and cons of writing these two genres and compare them. Discussion: How Diverse Do I Actually Read & How To Read More Diverse? You all know how much I value diversity in a book and if you didn’t know that yet: hi, you must be new here. I’m Lia and I am an advocate of diversity in books. Nice to meet you. Over the past half year, I’ve set myself the goal to read more diversely and keep track of how diverse I read. Half a year has passed and now I think it’s time to check my progress! I’ve been keeping track using a 5-star system, rating each book based on POC, LGBT+, disability, minority and non-western setting. Each book could get a score of 0 or 1 (sometimes 0.5) on each of the criteria. Let’s take a look at how often I gave the books I read a star (or point) for each criterion! I added some examples of books I read this half of the year with representation. It turns out that in over 50% of the books I’ve read a character, main or (major) side, is of colour! Most of these were side characters. I also read a lot of LGBT+ books with characters ranging from gay, lesbian, bisexual, pansexual, transgender, non-binary, intersexual and asexual. Disabilities were a little rarer, mostly these were characters suffering from mental disorders and characters with minor disabilities such as a limb. Some examples of disabilities/disorders I’ve read about: anxiety, deafness, blindness, ASD, muteness, eating disorders, depression. Minorities turn out to be a very vague term. I used this mainly for books that contained a character with a semi-rare decent or religion. Examples are Native American or other indigenous people and Jewish or other religious people. Non-western was the hardest for me, I read mostly books that are set in the US/Europe because most of the books I read are written by American or European authors. I read no books that were set in non-Western countries but I gave some half-stars for books set in a non-Western fantasy world. If we combine all the ratings, I found that almost 3 out of 4 books I read contain some sort of diversity. Not all of them to the same degree, but I am really happy with this number. On average, the books I read got 1.5 stars, which is decent. After half a year I’ve grown to realize that it isn’t as simple as a rating, because sometimes a book is really diverse in the way that it really talks about one “thing” extensively. For example, None of the Above, which is about a girl who finds out she’s intersex. I would say this book is very diverse because it is about intersexuality and how she deals with this, with the prejudices and discrimination that comes with it and everything surrounding this issue. However, if you would rate this with my scale, it would only get 1 star. And it deserves more. There are so many books like that, that deserve more than the 1 or 2 stars they would get with my system. So I’ve decided to not include a rating like this in every review anymore (not that I was very consistent anyway). I will keep track of it and I will usually discuss the diversity of the book if applicable, but I won’t rate it anymore from now on. Be aware of the topic: Great, you’re on the right track already! If you’re reading this post, you’re clearly interested in diversity and reading more diversely. Keep track: This really helped me, after each book I read, I thought about the diverse representation and jotted it down somewhere (or just made a mental note). Keep an open mind: If you’re open to reading about topics that are further from your comfort zone, you might get surprised with what you find! I wasn’t used to reading about diverse characters before because I didn’t explore other characters than characters that were alike me. Set yourself goals: or just note type of characters or settings you want to read about. If you set yourself the goal to read at least (idk) 10 diverse books over the summer, you get more motivated to do so. Diversity bingos or something alike are a great resource. Go out and look for diverse books: there are plenty of lists people made about diverse books you might want to read. I made one myself, you can check it out here, you can also just look up all the books I mentioned/showed above! Make it more of a priority: it’s just a small decision but it changes your entire way of reading! I hope you thought this was interesting! Did you read a lot of diverse books? Is diversity important to you as a reader? Any recommendations? I only started writing “seriously” in (or after?) November of this year, when the bookish community suddenly was all about NaNoWriMo and I, silly girl as I was (just kidding I’m smart), started low-key panicking, because should I participate??? I hadn’t written much before that and with a very busy month I decided not to, but I loved how the entire community was suddenly all about creating new stories instead of only reading them. In December I hosted a project I called Short Story Society in which I, and with me several other bloggers, wrote a short story each week. As to kind of make up for the missed NaNoWriMo and to get the writer juices flowing. Though it wasn’t a huge success (my organization skills definitely were not on-point and many people only participated for part of it), I really liked it. It got me excited for writing and that is what Camp NaNoWriMo also did for me back in April. If you don’t know what it is, it is a smaller version of NaNoWriMo (there is no “real” camp, it’s just online). You can set your own goal, in words or hours, and you have cabins to cheer each other on. In April I wrote 30 thousand words, which is more than I have ever written on a single project. Why participate in Camp NaNoWriMo? Because you love writing. This is obviously the most important reason, if you don’t like writing this is definitely not for you. Because NaNoWriMo is just a bit over your head. A little. Or a lot. It’s really nice because in Camp you can set your own goals, and if that goal is to write 3 poems of 20 words each, go for it. You can also set it at 100k if you want to die, it’s all up to you. Community and support! There is, of course, your cabin, you can either make one or get sorted in one. You can chat with your cabin mates and help each other out. It is fun and it’ll help you get more motivated (which is my next point). It helps you get more motivated to write. I can set a daily goal for me any day of the year but it doesn’t seem to work for me. Sometimes I don’t write for days or weeks, other times I write a lot on one day. Having a consistent writing schedule is hard and having Camp really helps to keep me accountable. It makes you excited to write. Aren’t you already excited??? I AM. It is fun and you meet new people. There are also virtual write-ins on youtube which are lots of fun to participate in, and there are writing sprints and well, there is an entire community of writers out there and they are all awesome. Okay, but seriously. There is only the stress that you give yourself. You don’t have to write, you don’t have to outline, you don’t have to prepare. But it’s useful and quite stressful sometimes. I am trying to avoid the stress by putting my word count goal not very high. I have set it to 15k, which is half of April’s goal, but I am also away for almost half of July so I think it’s fair. I calculated a daily word count of about 750 words, which is very doable. I decided to not rush too much with this project, because I feel like that will make the end result 10 times better. Are you participating this July? Have you participated before? Do you write or not, and why?